Greetings, Stampers! Yesterday was a nice relaxing day off for me, and I got a bunch of stamping done. One of my projects was this birthday card. 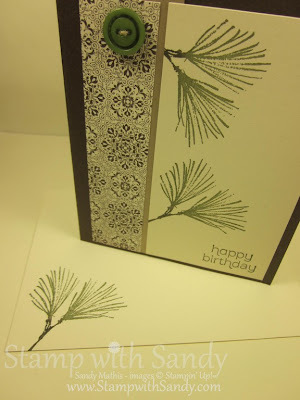 I needed a 'guy' birthday card, and thought I would use some products from the Stampin' Up Holiday Catalog, as today is the last day you can order from it. There are lots of products in the catalog that can be used all year round. 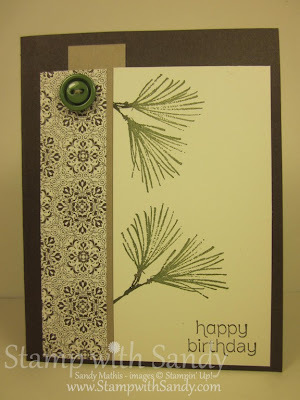 I used the Watercolor Winter Stamp Set to stamp the pine branches, along with Candlelight Christmas Designer Series Paper. 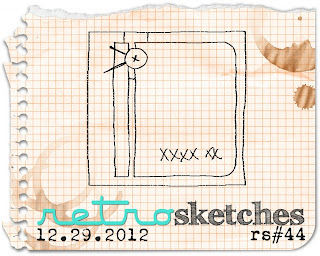 I love a great sketch, and Retro Sketches once again provided me with one. 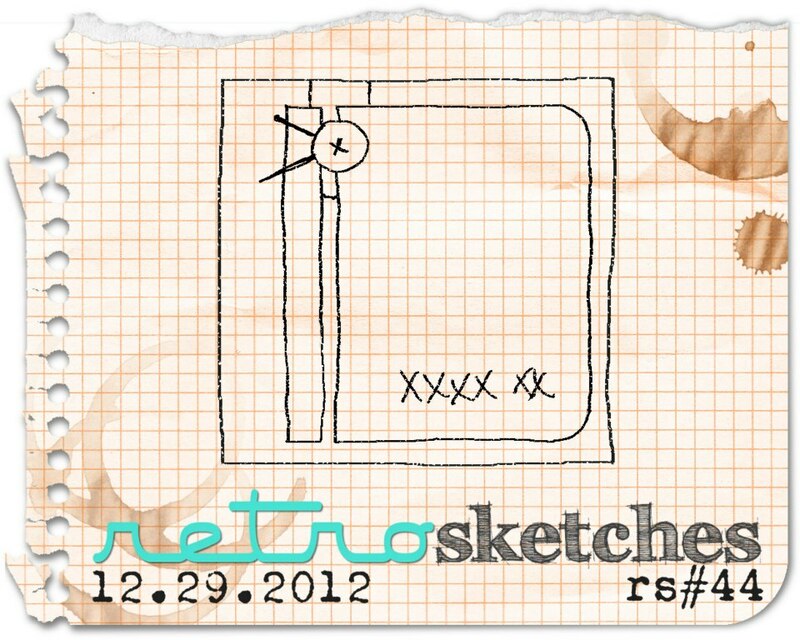 I would have never come up with this sketch on my own, and I'm so happy with the way it turned out. It's a clean and simple layout with straight lines, perfect for a masculine card. I inked my pine branch stamp with Always Artichoke Ink, then went over the stem with an Early Espresso Marker. I did the same for a matching envelope. The button was adhered with a Glue Dot. Such an easy card. 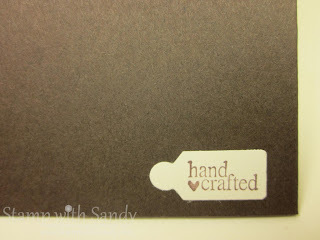 My favorite thing to do on the back of a dark colored card is to add a tiny tag that says Hand Crafted. The greeting comes from the Tiny Tags Stamp Set and it was punched out with a Jewelry Tag Punch. 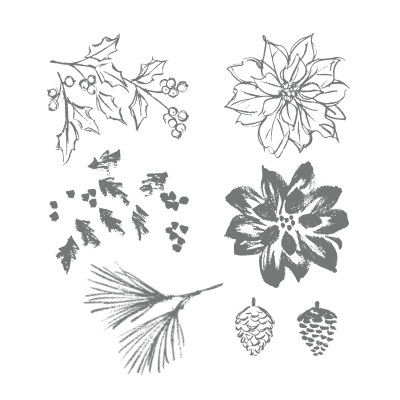 If you'd like to look over the Holiday Catalog one last time, click here.